Japanese people sure love sour candies! This candy bag is packed with slightly sour coated mix berry flavored gummies! 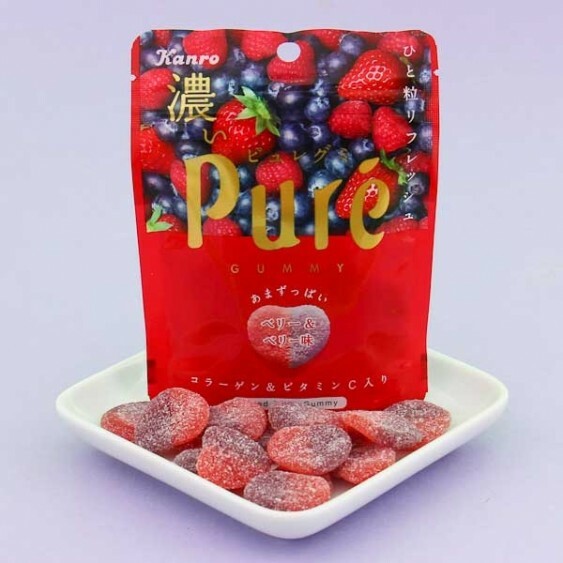 These gummies, just like the classic Kanro Pure Gummies, are delicious sweet gummy candies covered in sour powder. These gummies with two colors are shaped like little hearts. The package is resealable so you can save some of the candies to share with your friends! And if you are super lucky you can find even a star-shaped gummy candy! Made in Japan!